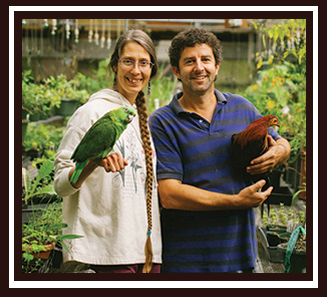 About us, a little History of our Herb Plant Nursery, Loacation, new owner profile,etc. 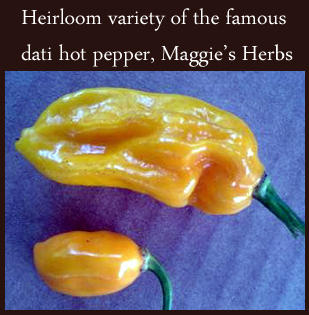 Just A Little History Of Maggie's Herbs. The farm has been in the present location since 1983.The farm was purchased by Dora Baker, from the previous owner several years ago.We now cultivate more than 100 species of herbs, succulents and flowering perennials. Herbs are like ornamental plants, there are annuals such as basil, coriander, and marjoram perennials such as mint, fennel and thyme, woody perennials such as rosemary, lavender and sage, or even bulbs such as chives. Growing a useful range of herbs is very simple. Choose the varieties that suit your own particular taste and life style. Some of the most popular culinary herbs are: Bay Laurel, Basil, Parsley, Sage, Thyme, Rosemary, Sorrel and Mint. Visitors are assured of a warm welcome to our beautiful surroundings and we hope that they will enjoy their time spent browsing through our herb selection and learning about all aspects of herb growing. It is always nice when customers return and thank us for helping them to create a wonderful garden. Please click on the Herbal Classes Link at the top of this page to see classes and other activities. If you are new growing and using herbs or have an interest in learning some of the many uses for herbs please register early before classes fill up. information and update - on herbal classes.